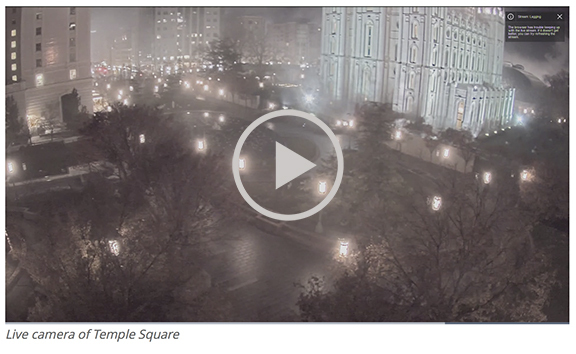 NAUVOO NEWS - Temple Square has a 24hr online live camera to get a glimpse of the holiday season. Hundreds of thousands of LED Christmas lights return to Temple Square in Salt Lake City Friday, November 23, 2018, at 5:30 p.m. The lights will be turned on every morning from 6:00 a.m. until 7:30 a.m. and from 5:00 p.m. until 10:30 p.m. every evening through January 2, 2019.